Hello again, lovelies! 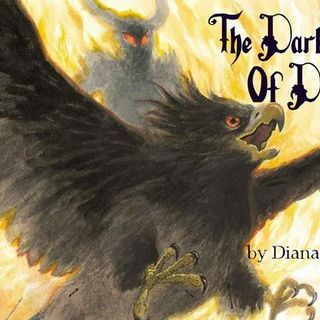 I'm here with the next episode of The Dark Lord Of Derkholm thanks to Patricia, and I'm finally starting to understand more of what the hell is going on in Derk's family. Turns out that Kit, one of the largest griffins, is a real piece of work and has been acting up lately because he's got magic and intended to keep it secret. He caves the roof in right after Pretty breaks the arms of the snake lady, and in general there are a lot of emergencies happening in this section. Thanks so much for listening, and see you soon with a new episode!